Girl Executing Right Turn, originally uploaded by [Zakkaliciousness]. After our previous post featuring a great moment in cycling we figured we'd feature another great one. Like most great moments in Copenhagen it involves simplicity. 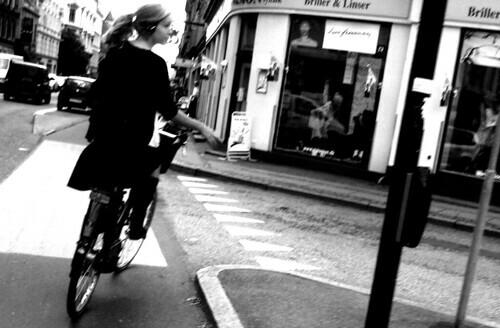 This time a cyclist causually raises her right hand, glances non-chalantly to the right and begins a right turn towards the pavement, when she hopped off her bike with an effortless and graceful movement.